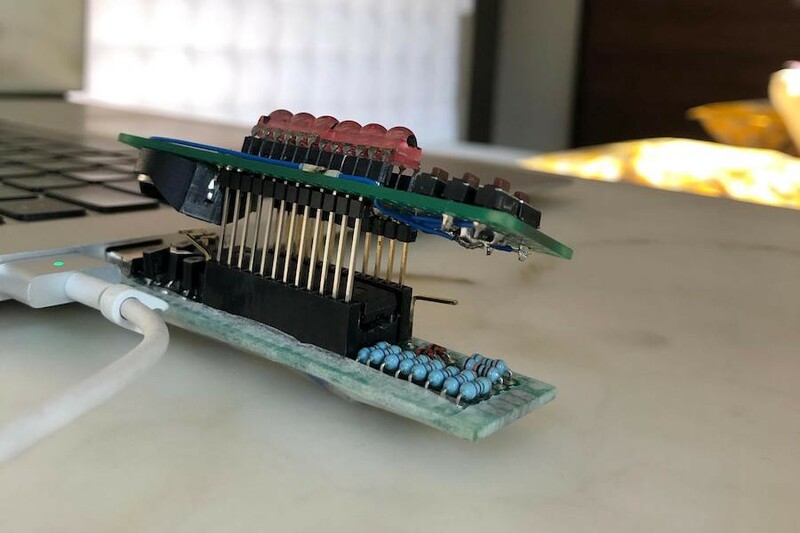 As spotted on Reddit, the creator of this perfboard clock notes that one can lose track of time when working at your computer for extended hours. While there is normally a little clock in one corner of your screen, more than likely you fail to look at it, and whenever your eyes wander off-screen to — you know, stare off into space — that little clock is nowhere to be found in your line of sight. To help with this very modern problem, the Time ‘O’ Time clock was designed using six 8-segment bubble display modules, vaguely reminiscent of miniature Nixie tubes. The assembly is creatively soldered on a pair of perfboards, sandwiched together via header pins that allow for disassembly as needed. Power is supplied through the USB port of a laptop computer when used as intended, although any USB power source would also suffice. When disconnected, time is preserved using a CR3032 battery, so it doesn’t have to be reset ever time it’s plugged in. 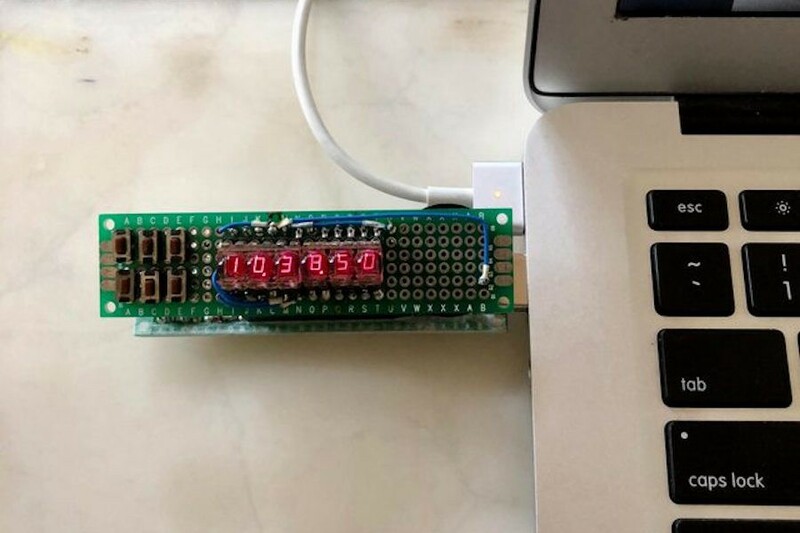 An ATmega 8L chip controls the clock, which keeps track of time using an internal oscillator. While this gives a reasonable accuracy of +/- 8 seconds per day, the project write-up mentions that it would have been better to use an external crystal for this duty. If and when it does need to be reset, each of the hh/mm/ss digits has its own dedicated button, which should make setting the time convenient when needed. Time ‘O’ Time Bubble Display Clock was originally published in Hackster Blog on Medium, where people are continuing the conversation by highlighting and responding to this story.